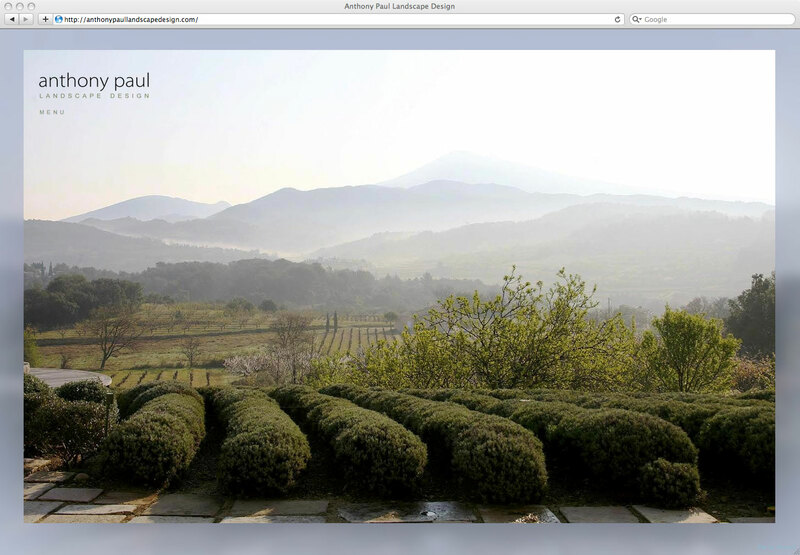 A bespoke portfolio website for renowed, international landscape designer Anthony Paul. 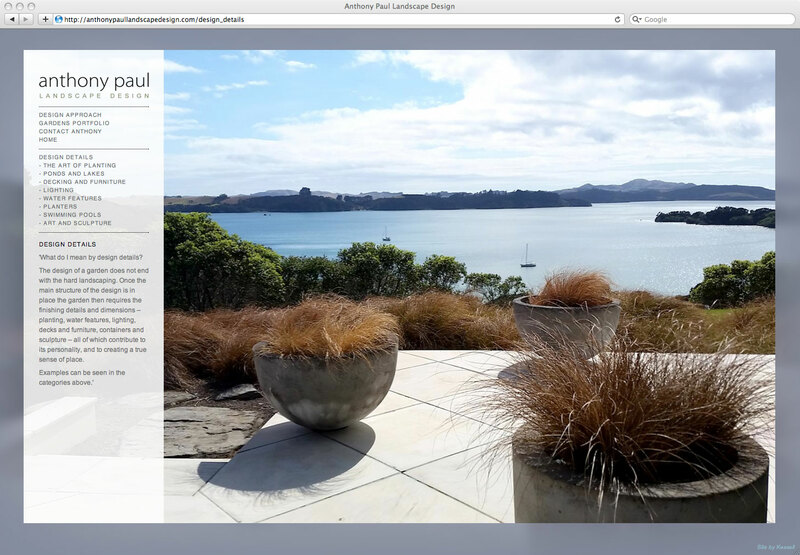 Very much 'the designer's designer', New Zealander Anthony Paul is rightly renowned as one of the world's top landscape designers. 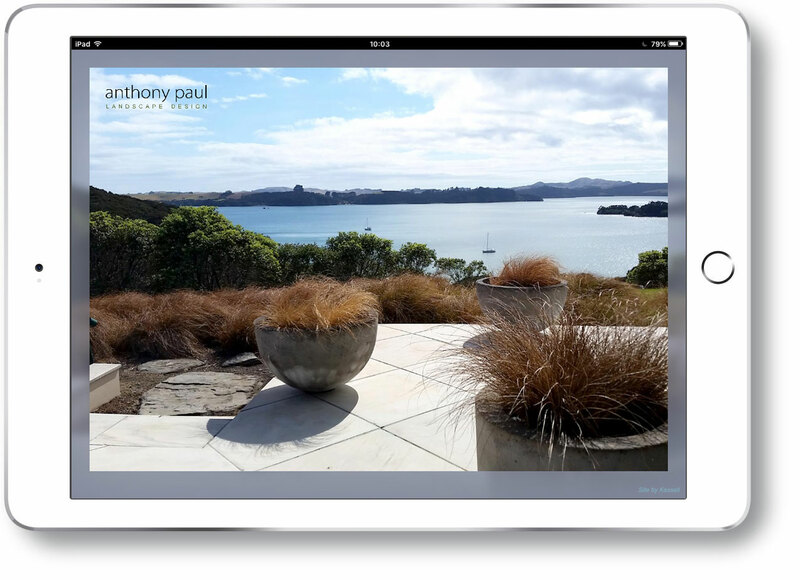 His studio is in Surrey but Anthony's is truly an international reputation with award-winning garden and landscape projects as far flung as New Zealand, Australia, France, Switzerland, Africa, the United States, the Mediterranean and, of course, the UK. 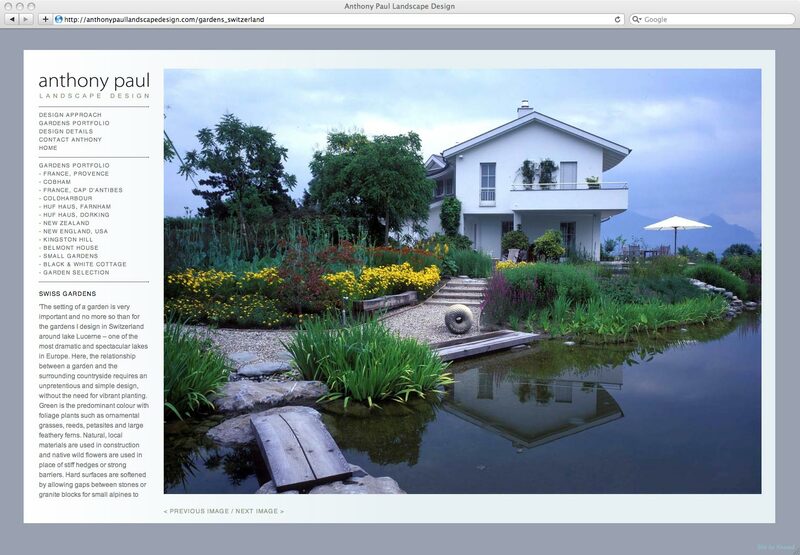 We have worked with Anthony for many years and designed his first website back in the days before broadband existed. Although the content has been updated many times, this design is itself 10 years old, but continues to look very stylish and function well - which is why we have chosen to feature it here as an example of the potential longevity of a successful design - even in the world of the web! 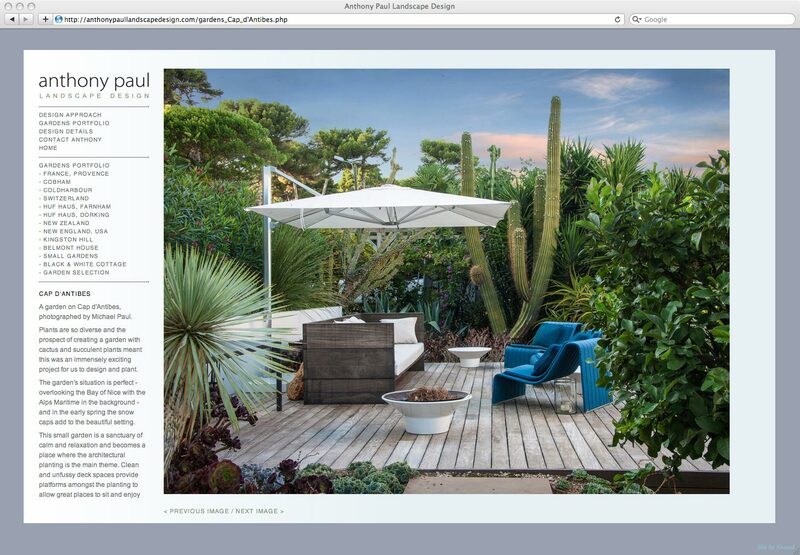 Anthony's original brief was that the site design should reflect his own design philosophy of mindful simplicity and calm restraint. 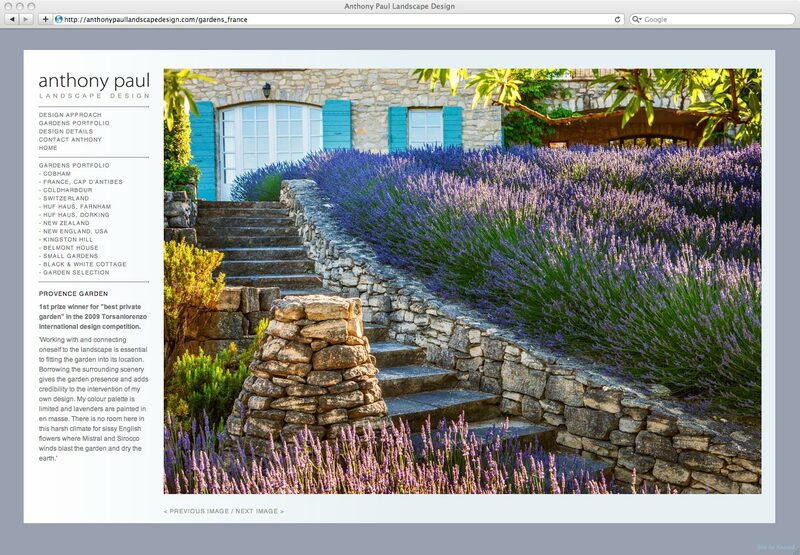 One of the very pleasing aspects of visiting the site is the almost cinematic presentation of the stunning photography, with elegant smooth transitions between pages and subtle layering of elements. All of which combine for a memorable user experience on which we still receive compliments. The site is flexible and responsive to differing monitor sizes and tablets and, as you might expect, receives a huge number of visits. 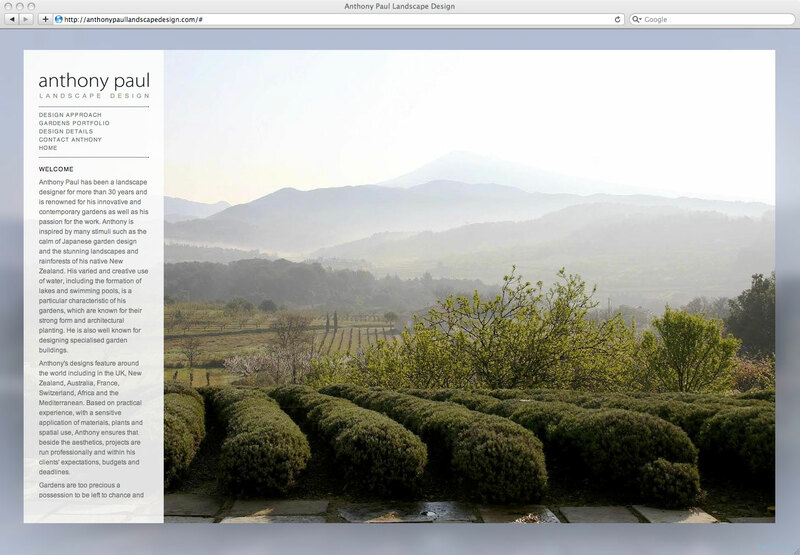 Kessell Design did an outstanding job on my website producing a minimal clean feel to the site. James was able to advise on just the right information needed to give a clear picture of my services and did an excellent job in getting the most from the images I provided for the design. Superb!